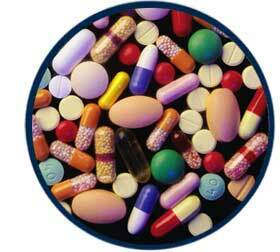 US Hair Transplant» Blog Archive » Can Certain Hair Loss Medications Cause More Hair Loss? Can Certain Hair Loss Medications Cause More Hair Loss? Early stages of male patterned hair loss may not always be obvious enough to be differentiated from normal levels of miniaturized hair during scalp microscopic evaluation. Propecia (finasteride) is still the most recommended hair loss medication to prevent additional balding. Some patients have even been prescribed Propecia without proper diagnosis or documentation of their hair loss condition making it difficult to tell if they have gotten better since they started or worsened. Propecia (finasteride) is designed to block DHT (Dihydrotestosterone) which is the main cause of male patterned hair loss. With this in mind, finasteride cannot deteriorate your hair loss or cause changes in the hairline. Maturation of the hairline is normal in all men and should not be confused with balding. We also do not have any further recommendation on medications that can stop the maturation of the hairline. This entry was posted on Wednesday, October 7th, 2009 at 6:08 pm	and is filed under Bakersfield hair transplant, California hair transplant, hair transplant, men hair restoration, Newport Beach hair transplant, Orange County hair transplant. You can follow any responses to this entry through the RSS 2.0 feed. You can leave a response, or trackback from your own site.